Written by: by Antonia J.Z. Henderson, Ph.D.
Palatial stables housing elite equine athletes are not where one would typically expect to find animal abuse. However, although the physiological needs of today’s performance horses are more than adequately met, the fulfillment of their psychological needs may be lacking. Show horses are often the victims of unintentional psychological cruelty from their well-meaning caretakers, and their wellbeing can be greatly enhanced if the relationship between sport horses and their feral ancestors is taken into consideration. A day in the life of the feral horse involves 16 to 20 hours of grazing on poor- to mid-quality forage in a closely-knit band that forms a stable social unit, often for life. Dominance hierarchies are established quickly, and once in place, conflicts are rare. Herds forage over large territories to meet their energy requirements and engage in occasional short bursts of speed to escape danger. Survival is precarious. By comparison, today’s pampered performance horses spend the majority of their time in a 10’x12’ stall, eating a quality-rich and quantity-limited diet at scheduled feedings. Those horses who do have turnout (many do not) generally do so in individual sand paddocks for a few hours per day, separated from other horses with double fencing or electric wire. Many scientists addressing the question of equine psychological welfare suggest that 24/7 pasture turnout with a herd is the optimal solution to a plethora of psychological maladies. However, pasture acreage is a luxury few boarding facilities can provide. Owners, protective of their investment, are reluctant to offer their horses greater liberty, especially with other horses. They want their horses to dine on premium-quality feeds, and performance horses have greater protein requirements than their feral counterparts. However, in spite of 6,000 years of domestication. we have not genetically engineered a horse who no longer needs an outlet for the natural behaviours so crucial to his ancestors. Modern horses, given the opportunity, still form stable groups, forage continuously over large territories, and are given to sudden bursts of speed to flee perceived or actual predators. Thus, we place today’s equine athlete in a psychological conundrum. The horse possesses evolutionary adaptations that no longer serve a useful purpose (formation of strong social bonds, a hair-trigger flight response, and the ability to live on sparse forage spread over great distances), and simultaneously lacks adaptations for the challenges faced in their current environment (confinement, eating a rich but limited diet, and social isolation). A wealth of research indicates that with minor modifications, we can significantly improve horses’ psychological welfare. One way to explore psychological wellbeing is to look at equine stereotypies – repetitive, stylized, and consistent behavioural sequences that appear to serve no useful or obvious purpose. Stereotypies usually develop in situations of frustration when an animal is prevented from performing a motivated behaviour, or when facing unavoidable stress, fear, restraint, or lack of stimulation. They are rarely if ever reported in free-ranging feral horses. Examples include cribbing, weaving, stall walking, head nodding, etc. Much of the research identifies factors that contribute to compromised wellbeing, and provides clues for modifications we might make to the performance horse environment before stereotypies appear. Thus, these strategies aim to improve psychological wellbeing for all performance horses – stereotypic or not. Some researchers argue that horses exhibiting stereotypies may actually be better off than their non-stereotypic neighbours. Cribbing and weaving, for example, elevate endorphin levels and may provide a coping mechanism for horses faced with inescapable, stressful environments – an outlet that is lacking for their “better behaved” neighbours. The tenacity of these behaviours speaks to the need to enrich equine environments proactively rather than reactively. Most researchers agree that preventing stereotypies is far more effective than trying to eliminate them once established. A common approach to dealing with stereotypies is to physically prevent the behaviour from occurring, through the use of cribbing collars, weaving bars, and so on. Many believe that cribbing collars improve welfare, operating under the mistaken belief that cribbers swallow air and are more susceptible to colic. In fact, there is no evidence for this notion, and the tenuous relationship between cribbing and colic is more likely attributable to the stressful environment that precipitated both. There is also no research support for the widely held belief that horses learn cribbing from one another. Again, the more likely explanation is that the stressful environment that induced cribbing in one horse could well do so in another. Research indicates that cribbing collars may inhibit the behaviour while in place, but that horses crib at an increased rate once the collar is removed. The collar actually increases the motivation to crib. Prevention of stereotypies is also associated with physiological measures of increased stress, such as elevated heart rate and increased stress hormone levels. Most researchers agree that physically preventing stereotypies, particularly while the environment that initially encouraged the behaviour remains unchanged, further contributes to the animal’s compromised welfare. An ingenious stable modification implemented at one training facility provided a chronic cribber with a safe “cribbing station”. A U-shaped heavy metal pipe, covered in PVC, was bolted securely into the wall surrounding the water bowl, and provided a safe place for this horse to indulge his habit without damaging the barn structure. Since this horse had learned this coping mechanism in his previous life of solitary confinement, his enlightened owner allowed him this necessary outlet. There is compelling evidence suggesting that feeding high-protein grains with limited access to forage is both physically and psychologically challenging for an animal designed for almost continual grazing. First, a high-concentrate diet with fasting periods between prescribed feedings leaves horses vulnerable to equine gastric ulcer syndrome (EGUS), the result of an imbalance between the protective and acid-producing functions of the stomach. Horses, designed for a continually full stomach, produce gastric juices that erode protective stomach tissue when there is no food to buffer their effects. Indeed, the association between an empty stomach and ulcer formation is so predictable that food deprivation is commonly used to purposely create ulcers in research animals! 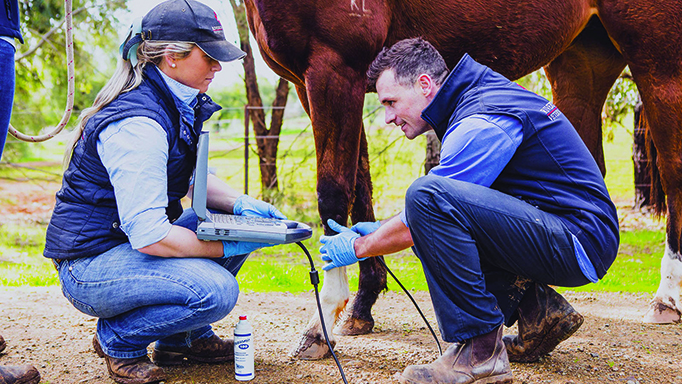 Clinical signs of ulcers include weight loss, poor appetite, listless performance, depression, and mild to severe colic, although many of these symptoms can be subtle enough as to go undiagnosed and untreated. 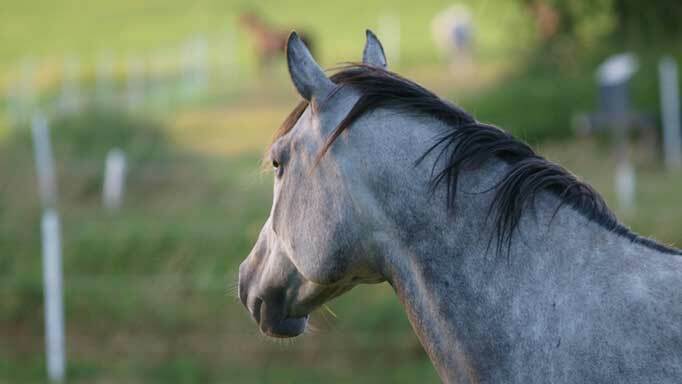 EGUS prevalence rates have been reported in 81% – 93% of racehorses, and 58% – 80% of hunter, jumper, and dressage horses. EGUS prevention and treatment are similar; temporarily easing the training regime and providing pasture access generally cure ulcers in days. Free-choice hay combined with ample turnout provides the next-best alternative. Interestingly, research indicates that ulcer medication does not prevent or heal ulcers unless management practices are significantly altered. Quality-rich/quantity-limited diets are also problematic because they are consumed so quickly, leaving horses with long periods of an acid-building empty stomach and nothing to do. The horse’s psychological need to forage persists, long after biological requirements have been met. Although pasture access is still optimal, feeding free-choice hay may satisfy this psychological need to forage. Medium quality, higher-fibre hays that require more chewing can be fed in larger quantities without contributing to obesity. Providing a selection of different hays increases the horse’s sense of environmental control (a known contributor to stress-reduction in humans and many animals). We can also make horses work harder for their food by adding chaff to concentrates, placing smooth large stones in feeding tubs, or spreading hay thinly over a larger area. Hay nets with small holes, mangers with difficult access, grazing muzzles, and foraging toys that allow small amounts of food to fall out of a rolling ball as the horse pushes it, all increase the length of time spent eating and more closely mimic a horse’s natural walking/grazing pattern. Researchers of quarantined ponies in long-term isolation devised a foraging device using a five-gallon bucket with snap lock lid, drilled with 16 three-quarter-inch holes in four vertical rows and filled with alfalfa cubes. Ponies learned to use the rolling pail quickly, and stereotypic behaviours were significantly reduced. However, it is the solitary nature of this confinement that is by far the greater abuse. The fact that we see almost no stereotypies in horses that live in tie stalls with severely restricted liberty but ample social interaction (e.g. cavalry mounts and mares used for urine collection), speaks to the horse’s overriding need for visual and tactile social interaction with other horses. That this need overrides the need for movement is poorly addressed in the typical show horse environment where the horse’s psychological need for affiliation tends to be underestimated or ignored. Fortunately there are credible alternatives to meet the horse’s social needs without exposing them to unnecessary risk. Horses have evolved to avoid aggression and embrace affiliation. For successful herd living, horses developed a behaviour repertoire that precluded expending energy fighting for resources. Aggression cues escalate gradually, random attacks are rare, and dominance hierarchies tend to be stable. Admittedly, performance horses differ from their ancestors in ways that make group turnout riskier (wearing steel shoes, living where equine neighbours continually change, eating high-protein diets, and conditioned to maximum fitness levels). However, risk can be ameliorated by introducing potential herd-mates gradually, fitting horses with protective boots, removing hind shoes until dominance hierarchies have been established, allowing sufficient space, and keeping group sizes small and stable. There are also alternative stable designs that can satisfy the need to socialize without incurring the risk of turning horses out together. Jonathan Cooper’s research team found that stable designs allowing horses to have tactile contact with adjacent neighbours through stall bars significantly reduced stereotypies in a sample of chronic weavers. Weaving was completely eliminated when horses had the “all-sides-open” option (bars on both stall sides, and half-doors at front and back). Presumably, stalls that open out onto individual paddocks would further increase visual horizons, allow for visual and tactile equine contact, provide the horse with some degree of environmental control, and subsequently increase wellbeing. Research has also shown that installing a 1×5 metre acrylic mirror in the horse’s stall eliminated weaving and head nodding in horses with chronic stereotypies. The authors suggest that the mirror may increase visual horizons, offer companionship, provide visual stimulation, or may rely on a combination of these factors. Certainly, a mirror offers an inexpensive and portable modification that may increase wellbeing for horses that have limited equine contact. A horse’s need to form lasting pair bonds encourages them to bond readily with members of other species. As Stephen Budiansky, an equine researcher, comments, “Our horses’ affection for us, their owners, is unquestionably real, and grounded in a basic instinct to form friendship bonds; it is slightly bruising to our egos, though, to realize that they bond with us only for lack of better company.” Research increasingly points to the benefits of grooming for reducing equine stress, particularly currying in the wither area, which mimics the muzzle-to-wither “allogrooming” that horses do for each other when given the opportunity. In show stables, where grooms are responsible for the majority of horse care, owners can be encouraged to spend additional time with their horses – grooming, hand-grazing, etc. Increasing the groom-to-horse ratio may also be a worthwhile return on investment, allowing horses to satisfy some affiliation needs through human bonding, and allowing grooms the time to note subtle psychological or physical wellbeing indicators in their charges. One might argue that even if these practices could be implemented at home, performance horses spend much of their time at horse shows that are not amenable to modification. Although horse shows are not particularly adaptable, fortunately our horses are much more so. Visual horizons can also be increased at horse shows by buying extra stall space, so that three stalls can be converted into two, installing a portable mirror, or using customized stall fronts such as those fashioned with a large “U” where horses are afforded more perceived space without impeding shed row traffic. Confinement is magnified at horse shows by the increased time horses spend in their stalls. Renting turnout paddocks, hand-walking and hand-grazing can ameliorate this tedium. The hours of dead time owners spend between classes can be spent as easily (and arguably more pleasantly) with a horse at the end of a lead rope. 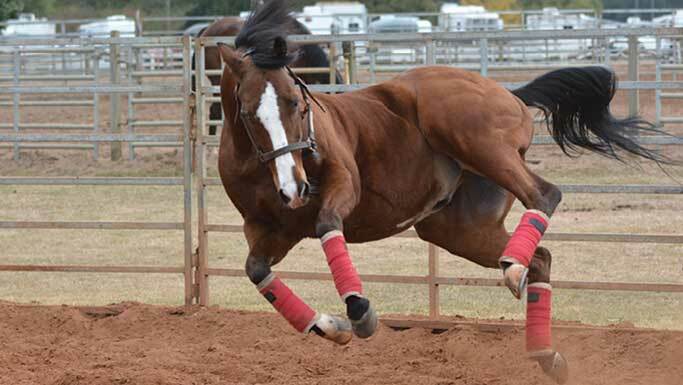 Horses are hard-wired to stick together; few of them manage well when isolated from stablemates, particularly when in the higher-stress horse show environment. Keeping horses’ stabling patterns at shows similar to those at home, and using isolated stalls for feed and tack only, will attenuate the impact of increased horse show stressors. Arousal levels peak, and stereotypies are more likely, when horses observe feeding cues and/or see other horses being fed, but are themselves prevented from feeding. This situation arises habitually at horse shows where different stables share the same shed row. Horses fed free-choice hay will be less anxious about the opposing stable being fed while they are not. Where stable neighbours are known and trusted, synchronizing feeding times with the opposing stable will reduce stress levels further. Anyone who has spent time with horses knows that they are generally at their most content grazing in a field with an equine friend or friends. Most of us also realize that this lifestyle is not generally feasible for today’s equine athlete. We have taken full advantage of the horses’ social instincts – their propensity to form bonds and their respect for dominance heirarchies. Horses are undeniably generous in the extent to which they have adapted themselves to meet our needs. Perhaps it is time that we come to a better understanding of their needs – needs not so very different from their feral ancestors. 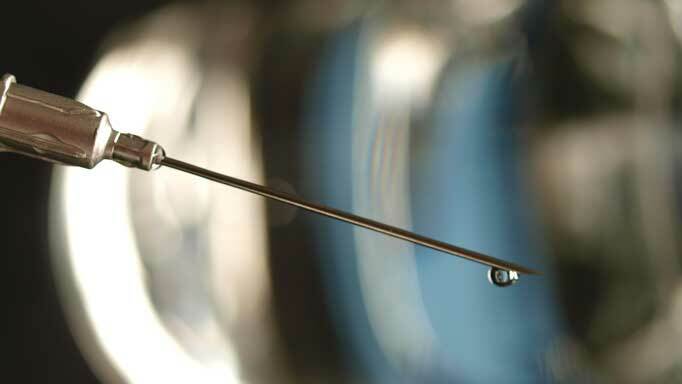 Using the newest biologics to treat tendon and ligament injuries. How do Performance Suppressing medications affect our horses?